Casio is set to enter the Android Wear market, as announced this afternoon at CES. Called the Smart Outdoor Watch, Casio’s offering will be intended for those who enjoy the outdoors, whether it be for hiking, camping, fishing, cycling, or anything else. 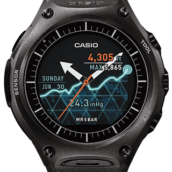 Featuring US military-grade water resistance (up to 50 meters) and shock resistance, the WSD-F10 smartwatch also has unique sensors not typically found on your average Android Wear smartwatch, including a pressure sensor and compass. 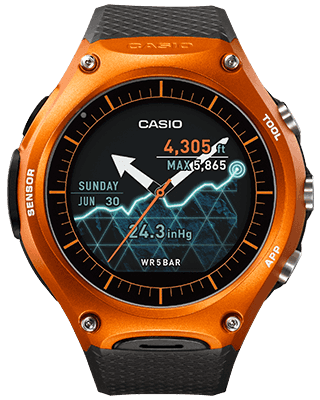 Data from the aforementioned sensors can be accessed by pressing one of the watch’s various exterior buttons, which are specifically designed to be pressed by glove-wearing hands. The watch’s 1.32″ display features a dual-layer that includes both a monochrome LCD and color LCD. The dual-layer design helps improve battery life, said to be rated at one day, and allows the screen to be visible regardless of lighting condition. 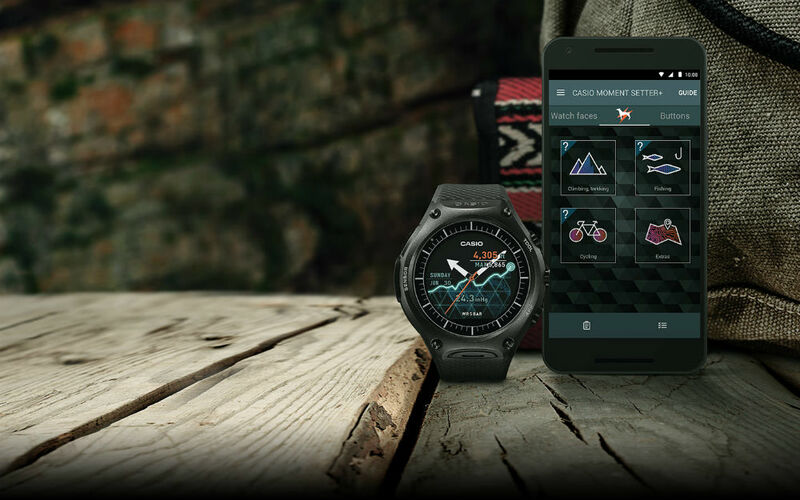 It should also be noted that the display features the same “flat tire” design that we see on the Moto 360 smartwatch from Motorola. Display resolution is listed at 320 x 300. As for software, Casio is building in quite a few watch faces that look identical to existing watch faces you can find on their lineup of watches today, and in addition, several fitness apps will come preloaded as well. 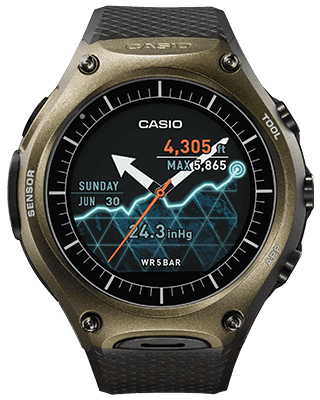 The Casio Smart Outdoor Watch is set to launch this upcoming April, available in four different colors, set to the tune of $499. Samsung's 2016 CES Press Event Starts at 2PM, Watch It Here!